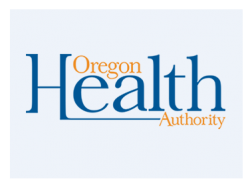 The Oregon Health Authority (OHA), Public Health Division (PHD), Health Care Regulation and Quality Improvement (HCRQI) Program, Health Facility Licensing and Certification (HFLC) in Portland, OR is recruiting for a Nurse Staffing Policy Analyst to provide consultation and advice to managers and executives in the Health Facility Licensing and Certification program regarding administration, management, and policy aspects of Oregon's hospital nurse staffing laws. HFLC is responsible for regulating certain types of non-long term care health care facilities and agencies. To ensure that regulated health care facilities comply with all applicable federal and state requirements, HFLC's Survey and Certification team conducts routine federal Medicare certification surveys and state licensure surveys as well as state and federal complaint investigations. As Nurse Staffing Policy Analyst, you will manage and facilitate the Nurse Staffing Advisory Board (NSAB), participate in program management team meetings and provide relevant updates concerning trends, issues, and concerns identified by the NSAB. You will participate in hospital nurse staffing committee meetings, provide mediation if the hospital nurse staffing committee cannot reach an agreement on a staffing plan and ensure the Nurse Staffing Report web page is up-to-date including audit and investigation reports. In addition, you will track the imposition of any civil penalties or suspension or revocation of license due to nurse staffing violations. As Nurse Staffing Policy Analyst, you will initiate, manage and perform studies that evaluate agency policy and performance, and monitor the consequences of significant changes and the effect of pending legislation or rule amendments. You will also design and oversee collection of data for relevant surveys, analyze data, evaluate findings and recommend appropriate changes to agency policies. You will work with a team of public health professionals who are passionate about the work they do to improve the services of non-long term care facilities and agencies. Do you have nursing and legal experience as well as project management experience? Have you worked with compliance and regulation? If so, we want to connect with you! We offer full medical, vision and dental benefits with paid sick leave, vacation, personal leave and 10 paid holidays per year plus pension and retirement plans. If you possess the experience we are seeking, don’t delay, apply today! Familiar with electronic information systems, internet and electronic mail.